The Great Britain Pound slipped from two-month highs against the buck on Tuesday. 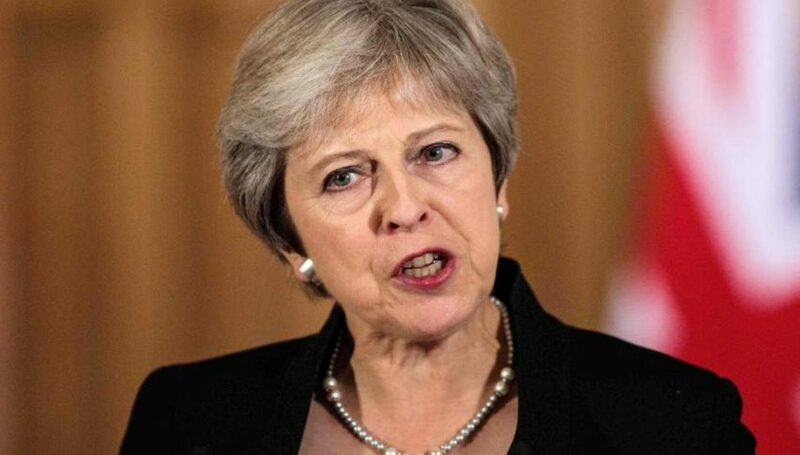 British lawmakers beat Prime Minister Theresa May’s deal on withdrawing from the European Union. Sterling remains in focus on the back of BOE Gov Carney’s speech and CPI y/y figure for the year 2018. 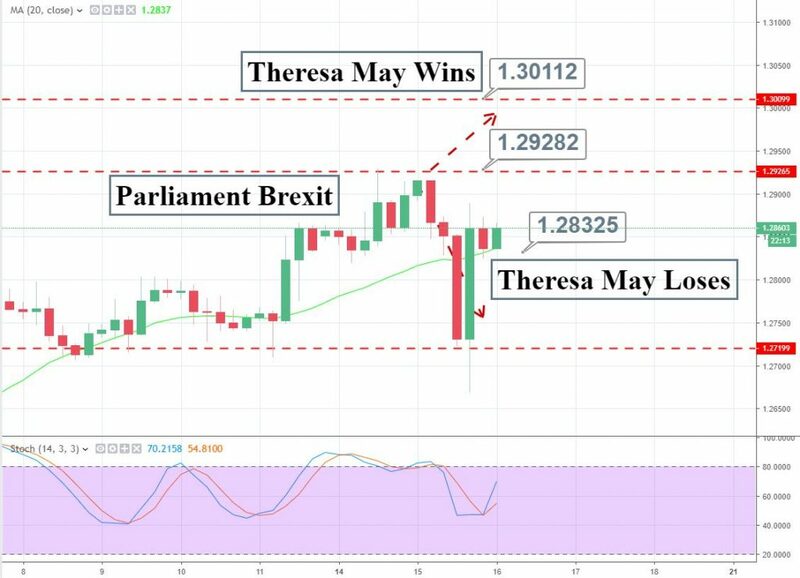 A day prior, the British Pound sank from two-month highs against the Greenback as the level of volatility soared after the Brexit voting results. Parliament gave the thumbs-down to Prime Minister Theresa May’s Brexit deal later in the day. British lawmakers beat Prime Minister Theresa May’s agreement on withdrawing from the European Union. That’s the first British parliamentary defeat of a deal since 1864 which raises a question mark on the two-year strategy of producing an amenable separation with EU while maintaining close ties with the Eurozone after the March 29 exit. Anyway, as per the Sky Deputy Political Editor, up to 100 labor MPs will rotate towards a second referendum this morning. That’s also making stock markets bullish in the hope that Britain will go for no-Brexit this time. The cable dipped more than 150 pips to place a low at $1.2667, and took a bullish turn right after the that. It has formed a doji candle on the daily timeframe, which is signaling indecision among bulls and bears. Here, the doji candle has two meanings. Either bulls are exhausted and sellers are looming around $1.2880 or the buyers are taking a breath before placing more bets on the GBP/USD. The Office for National Statistics is scheduled to release the inflation data at 9:30 (GMT). The CPI shows a change in the price of goods and services purchased by consumers. The Bank of England boosted rates in August after inflation had picked up. However, the prices are still not moving anywhere as economists have forecast the inflation rate of 2.1% which is below the 2.3% rate in November. Traders will be factoring in a weaker inflation forecast, therefore, Sterling is likely to remain under selling pressure. We have an opportunity to capture a quick sell below $1.2895 with a target of $1.2820. On the flip side, buying is preferred above $1.2810 today. Good luck and stay tuned for latest updates.